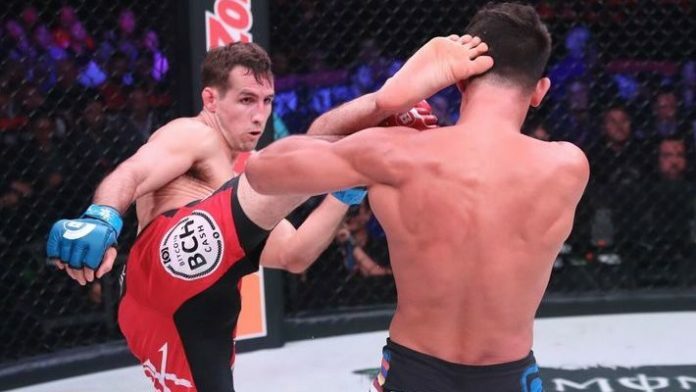 Bellator president Scott Coker wants Rory MacDonald to take some time to heal his broken nose. MacDonald was last seen in action on Sept. 29. “Red King” attempted to become Bellator’s first two-division champion by taking out middleweight title holder Gegard Mousasi. Unfortunately for the welterweight champion, things didn’t go his way at all. Mousasi earned a second-round TKO victory, breaking MacDonald’s nose in the process. “Red King” Returns In February? Jon Fitch will be the one to welcome MacDonald back to the Bellator cage. The two will collide as part of the Bellator Welterweight Grand Prix. MacDonald’s welterweight championship will be on the line. MacDonald will want to make a statement after his lopsided loss to Mousasi. Do you think Rory MacDonald will emerge as the Bellator Welterweight Grand Prix winner?